Vinh Truong Residential Zone consists of a commercial, service center, an ecological urban area, educational, sports and recreational center in the whole area. In addition, there is also an industrial cluster with low level of pollution. + Detailed planning blueprint at 1/500 scale: Approved by the People’s Committee of Long An province according to the Decision No. 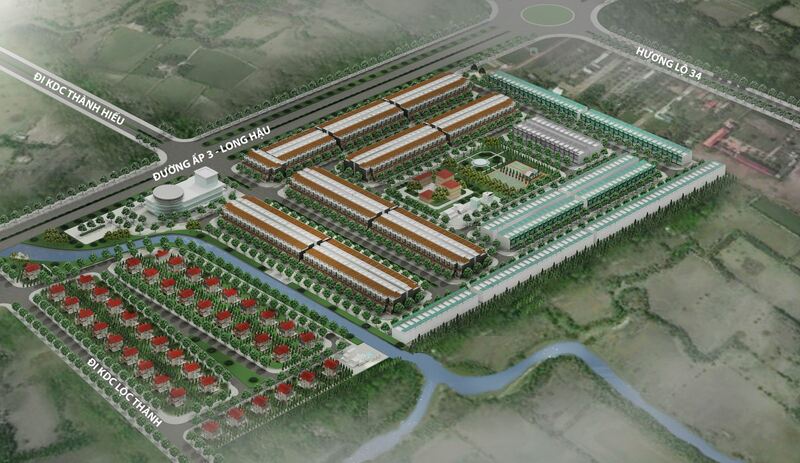 2747/QĐ-UB dated August 30, 2011 regarding the approval of the detailed planning blueprint at 1/500 scale of Vinh Truong Residential Zone, Long Hau commune, Can Giuoc District, Long An province. + Land clearance: Decision No. 1607/QĐ-UBND dated May 27, 2011 from the People’s Committee of Long An province, approving the compensation price for land clearance at Vinh Truong industrial zone of Vinh Truong Joint Stock Company. Currently the investor is coordinating with the compensation committee to pay such fees to the people living here. 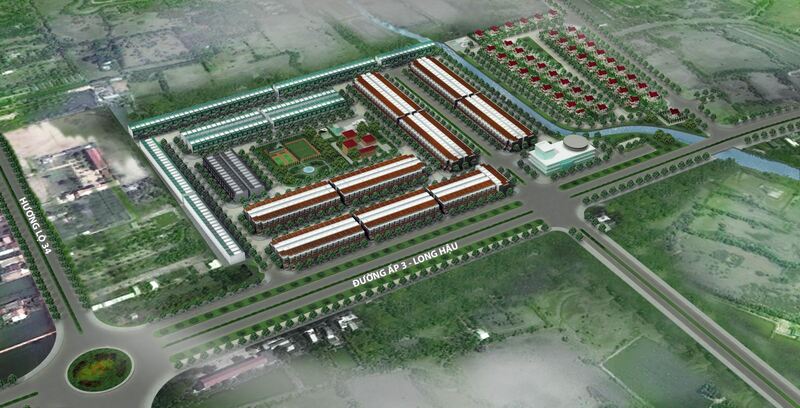 Long Hau urban zone planning is located at Long Hau commune, Can Giuoc district, Long An province, which is the adjacent area of Long An province and Nha Be district, Ho Chi Minh city.